MILPITAS, CA, January 4, 2018 – Integra Technologies (formerly CORWIL Technology) is pleased to announce the installation of an IP750 imaging ATE platform at its Silicon Valley facility. The system will start out with an AITOS 1000 illuminator system with plans to upgrade to the latest illuminator system from OYO some time in Q1, early Q2 of this year. The IP750 delivers high throughput and high parallel test efficiency, broad device test coverage from CCD and CIS, analog and digital capture, and concurrent image sensor and logic testing. The system contains the HSD-200 pin channel cards along with an ICULIG board and 2X HDVIS boards. 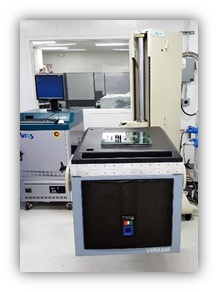 This tester, which specializes in the testing of imaging devices, will be housed in a newly built clean environment, to support wafer sort for up to 300mm wafers and package final test. For more detailed information on the IP750 configuration please call 408.618.8700. Integra Technologies Silicon Valley provides high quality and responsive semiconductor assembly and test services focusing on Hi-Rel, fast-turn and wafer processing markets. Founded in 1990 and based in Milpitas, CA, Integra Technologies is the premier U.S. provider of full back-end assembly services and is a key partner with leading medical, Mil/Aero and commercial semiconductor companies.